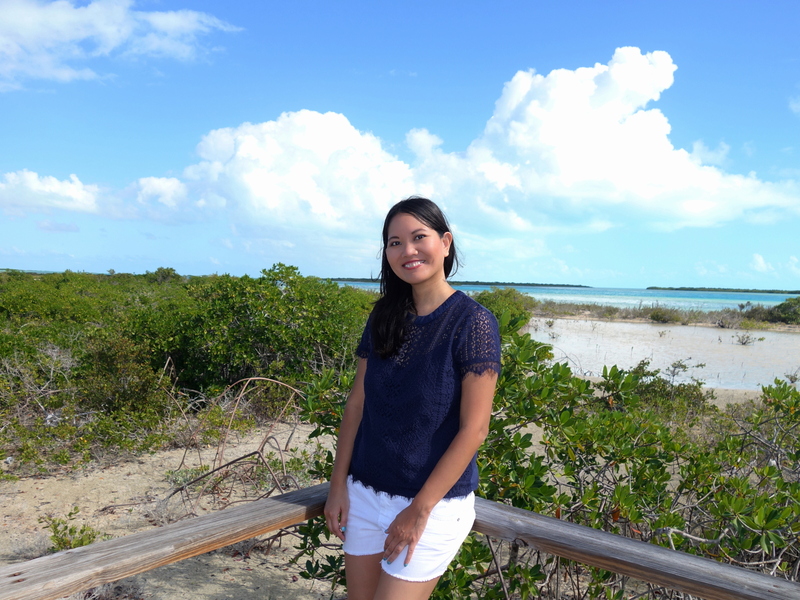 Little Water Cay was only a five-minute boat ride from the eastern end of Providenciales (Provo), but they felt worlds away from each other. 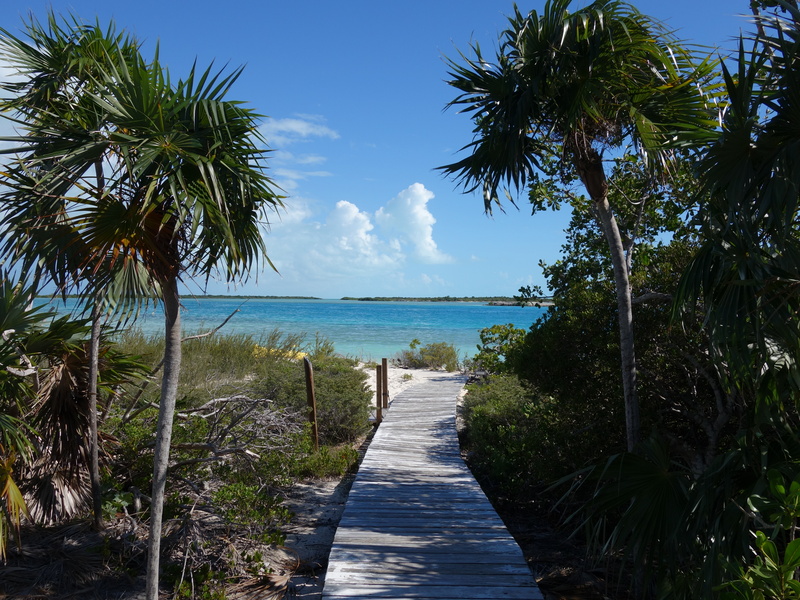 While Provo is the most populated and developed island in Turks and Caicos, Little Water Cay is a nature reserve that is home to the nation’s indigenous rock iguanas. 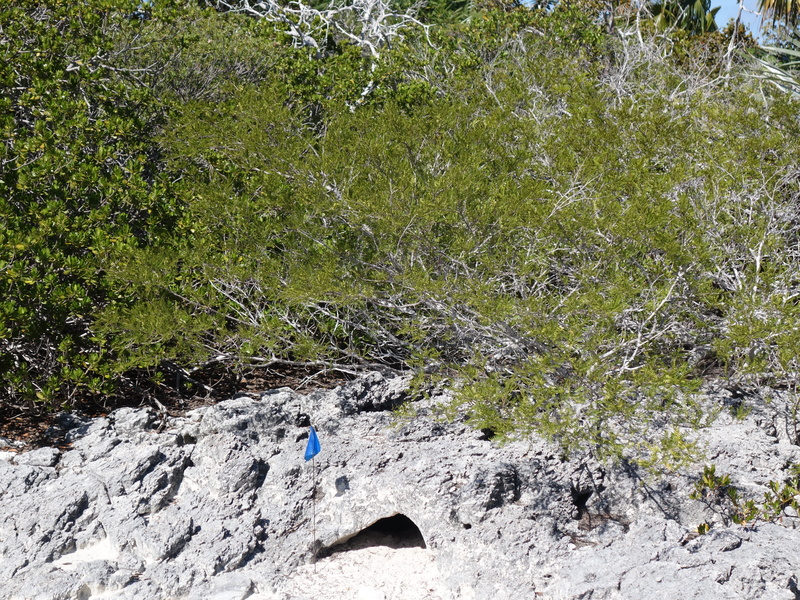 Hence, the cay is also known as Iguana Island. 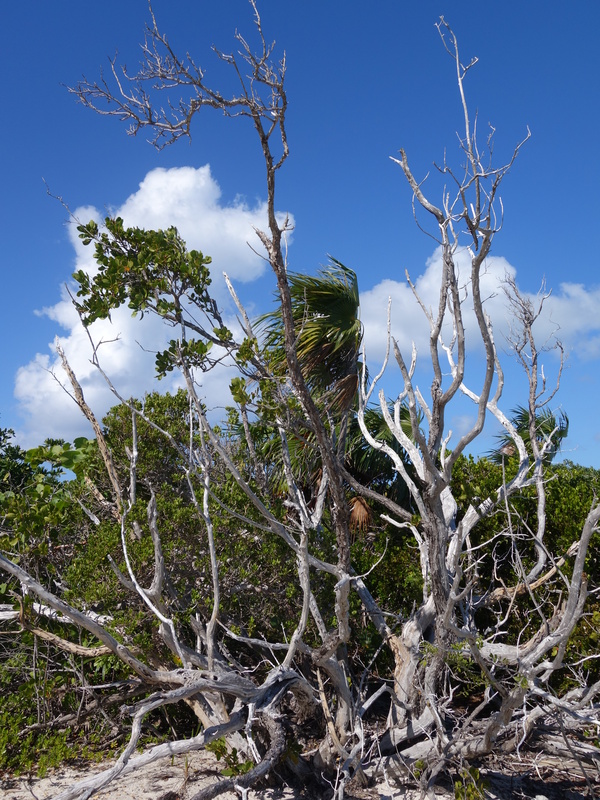 Not wanting to miss out on a chance to see this endangered species, Johnny and I booked an hour-long excursion with Caribbean Cruisin’ to Iguana Island. 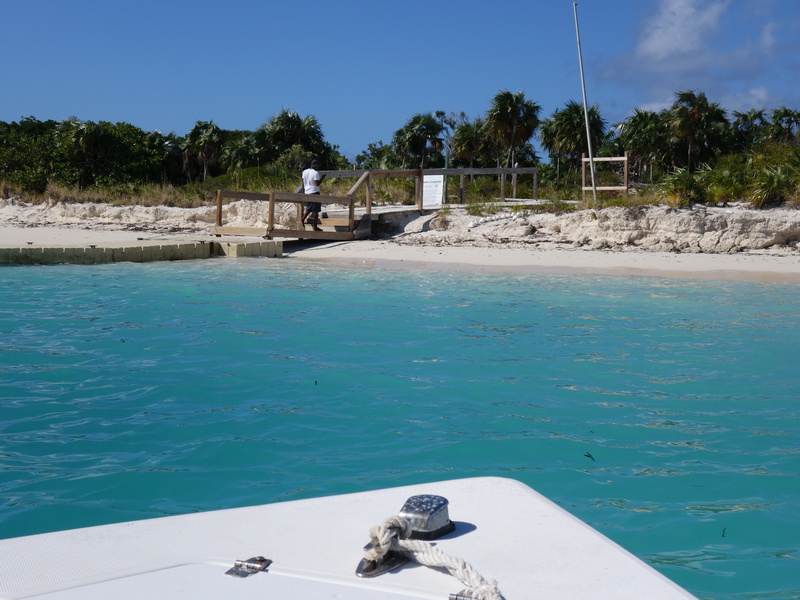 As soon as we got dropped off by the boat, a park ranger led us on a brief tour of the small island (or cay). We would love to trade places with this little guy any time. 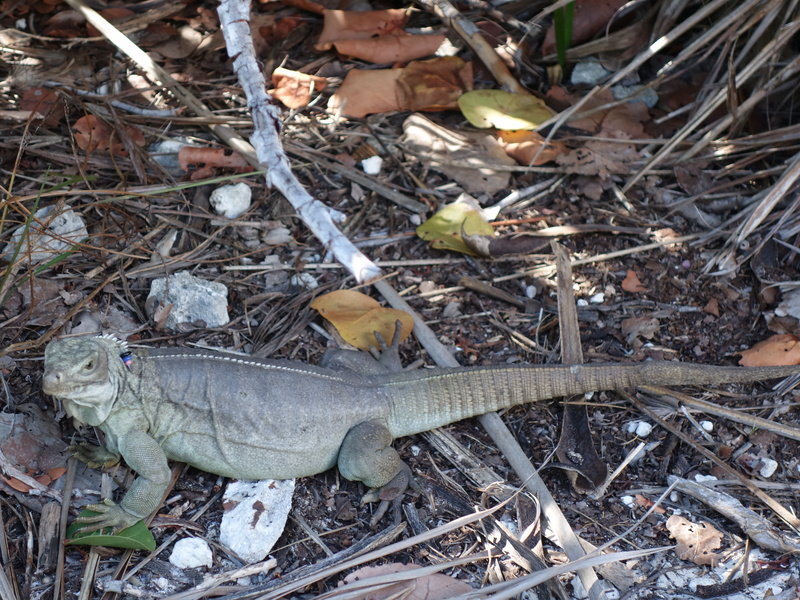 Some of the iguanas wore tags around their necks as a tracking device. The park ranger was not the only one who greeted us upon our arrival. 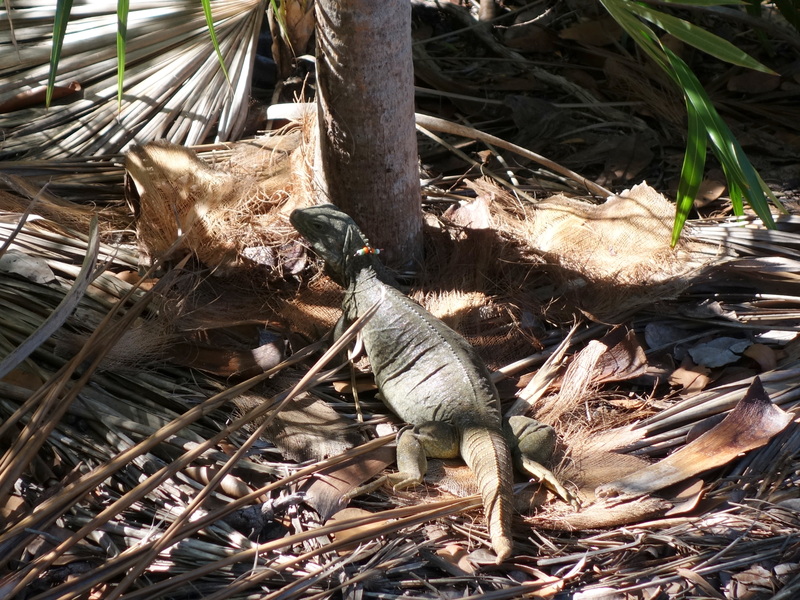 The iguanas themselves were also out and about, curious to check out who the guests of the hour were. 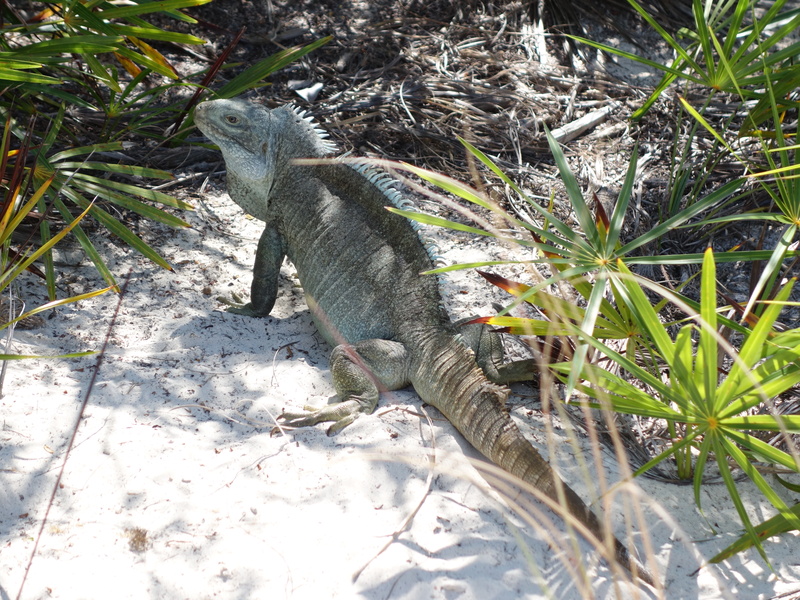 This iguana wasn’t being too shy. 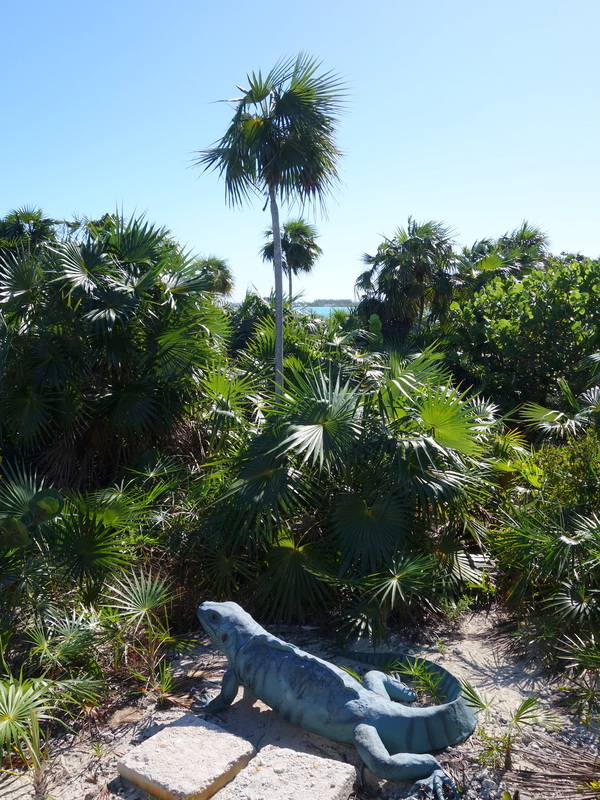 We learned that iguanas are territorial beings. 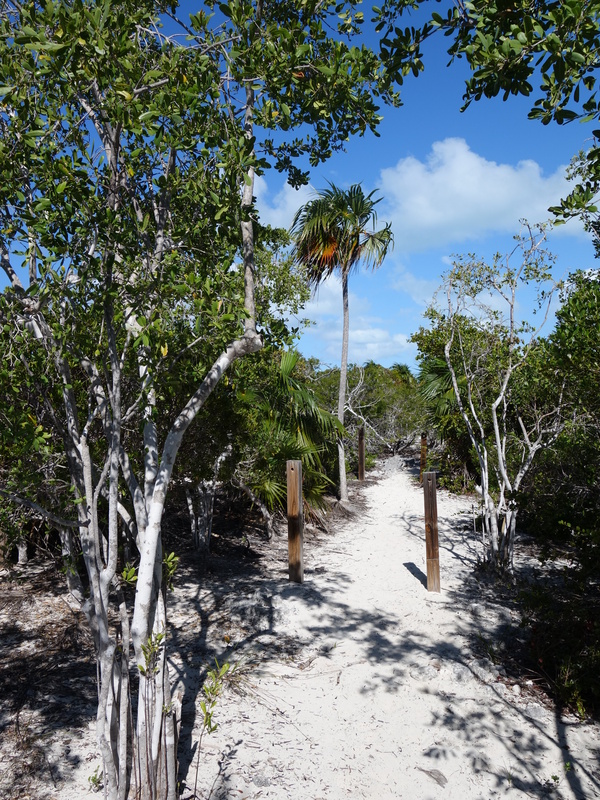 Because each iguana occupies its preferred corner of the cay, and each also has its own distinctive physical attributes, the park ranger has become very familiar with these creatures and called them by name, such as Rocky. 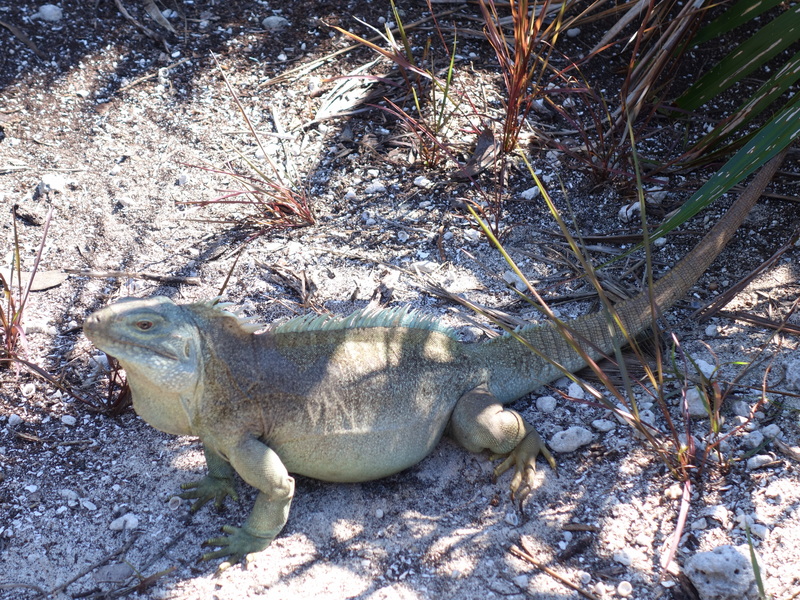 This poor iguana was involved in a little brawl and lost its tail. But no worries, iguanas are capable of growing their tails again. 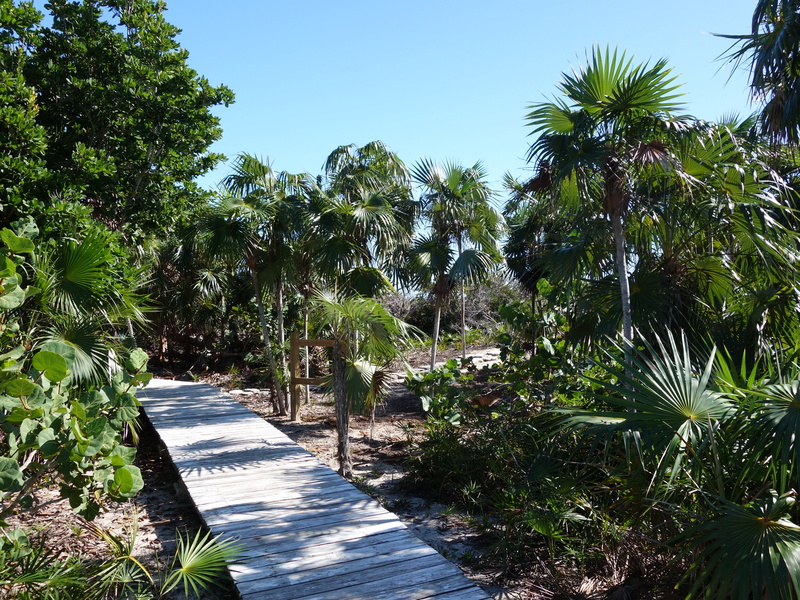 An excursion to Little Water Cay gave us a glimpse of what the Turks and Caicos islands looked like before all the development that took place in the last few decades. 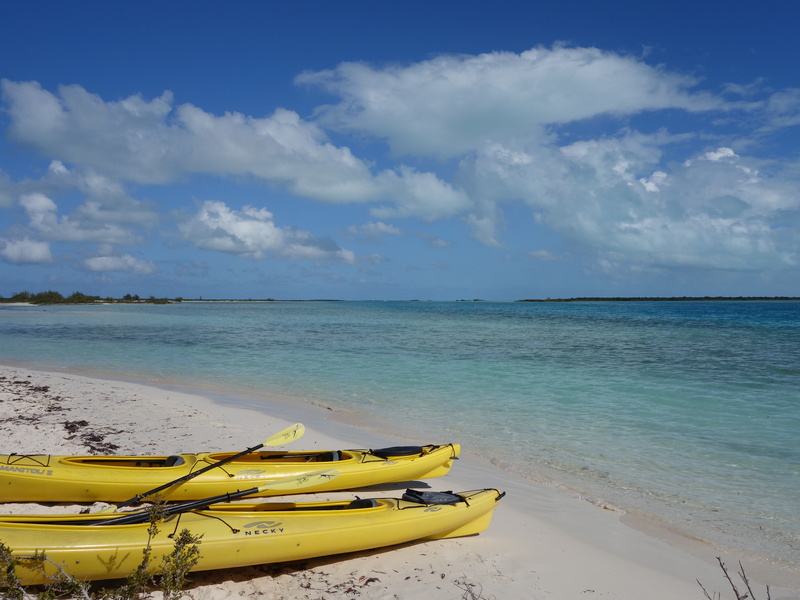 The flora and fauna found on this cay are all native to Turks and Caicos. 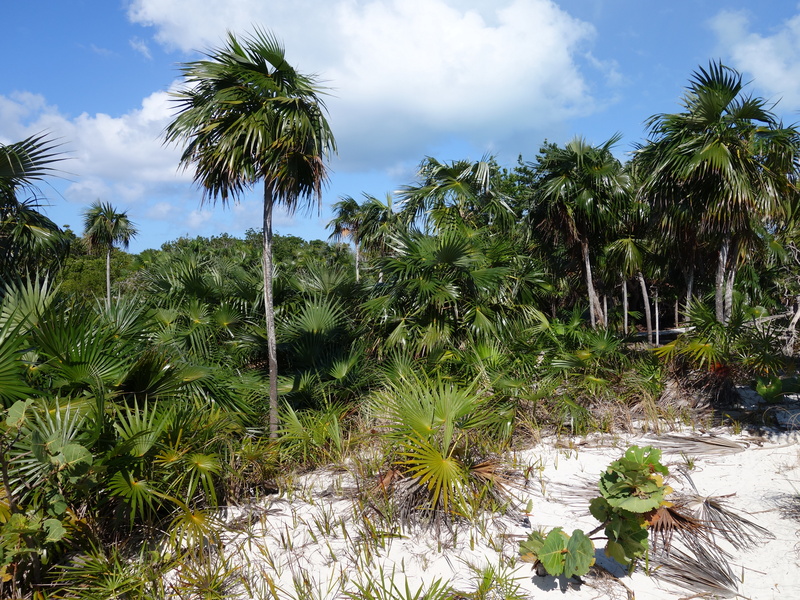 There are no tall palm trees that you often see at resorts and restaurants on the other islands. 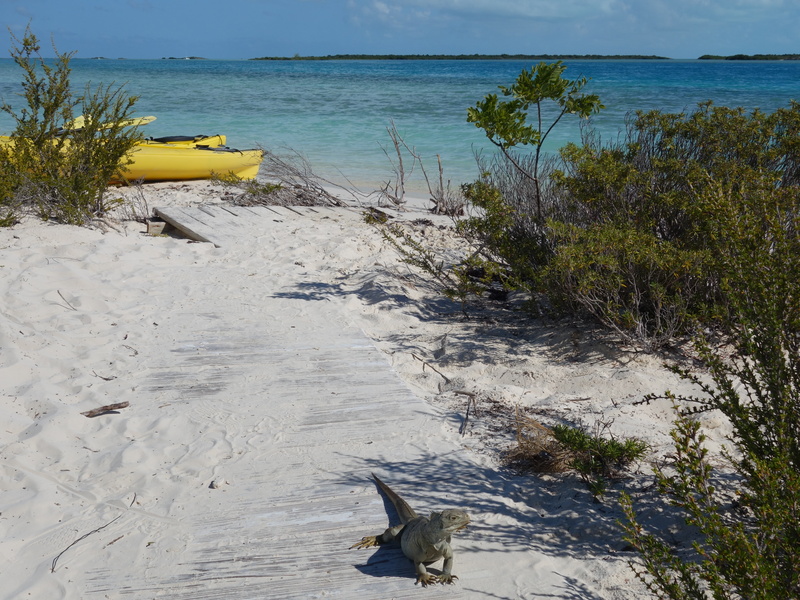 Iguanas thrive on Little Water Cay because there are no cats and dogs preying on them. 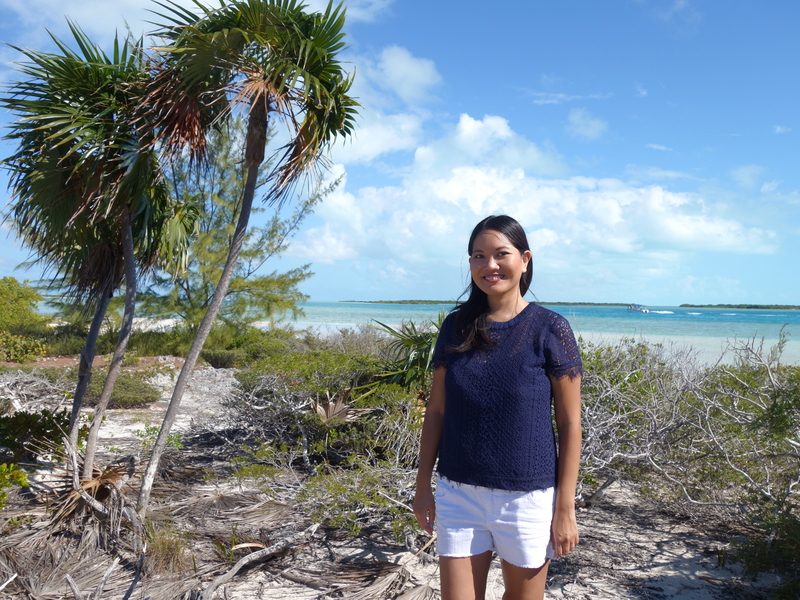 After our short guided-tour, the ranger let us wander the island on our own. 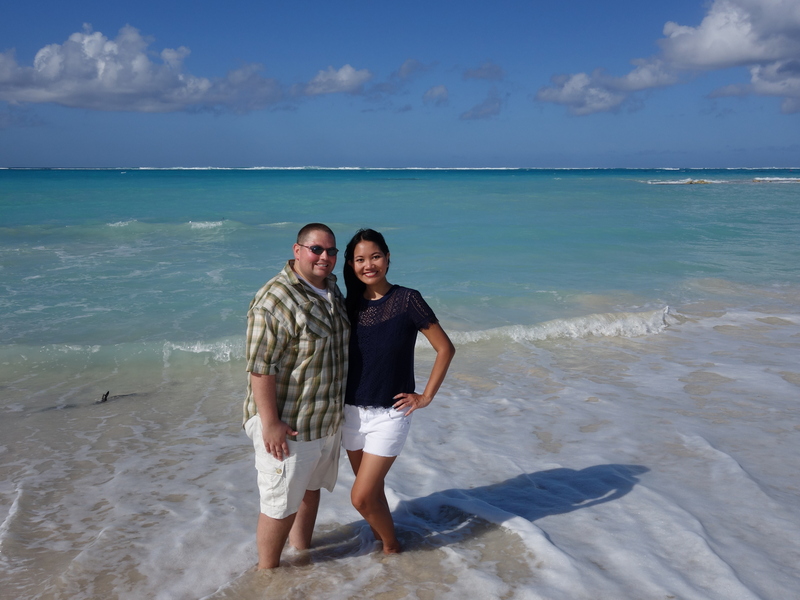 Johnny and I decided to head towards the north shore, where it is bordered by the Atlantic Ocean. 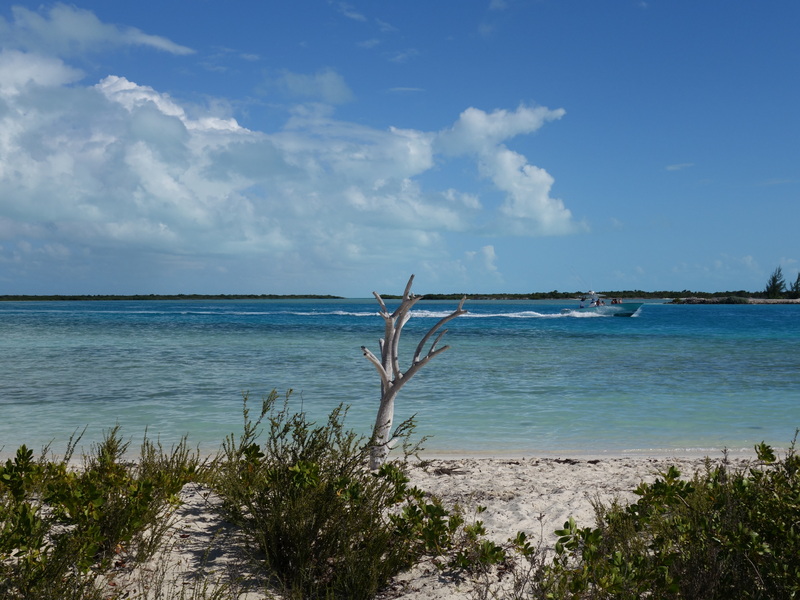 Roaming around Little Water Cay made us feel almost like being castaways on a deserted island. There was only one other couple who came with us on this excursion, and the entire time they stayed close to where the boat docked. So we were completely alone when we trekked to see the ocean. It took us about 15 minutes to reach the north coast, and it was definitely worth our time. 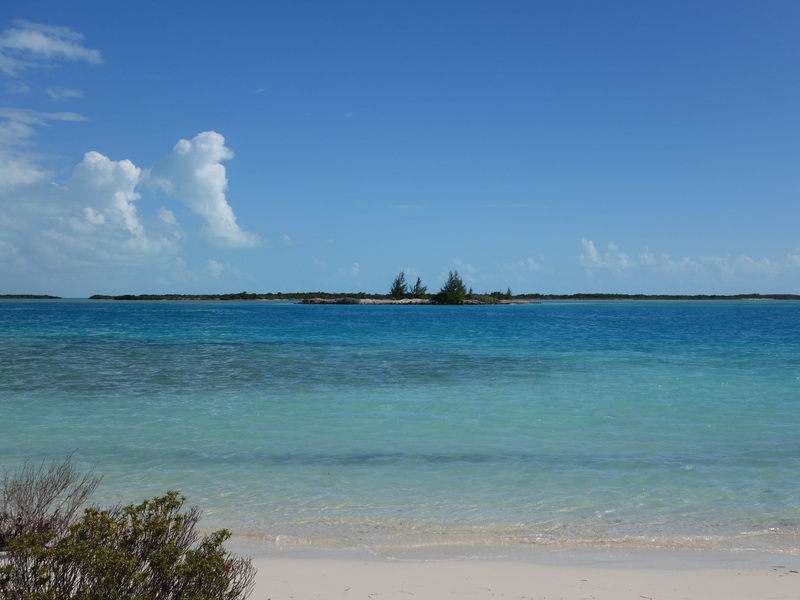 We were surrounded by the raw beauty of Little Water Cay. 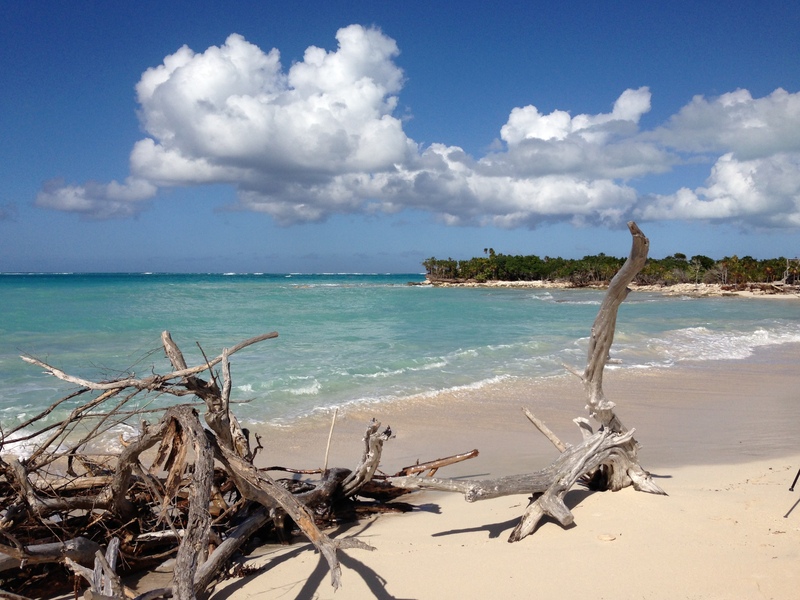 The color of the ocean was just gorgeous, and the beach was covered with driftwood. The unfortunate part was that we only had a few minutes to enjoy this scenery, as we had to hurry back to make sure we did not miss our ride back to Provo. 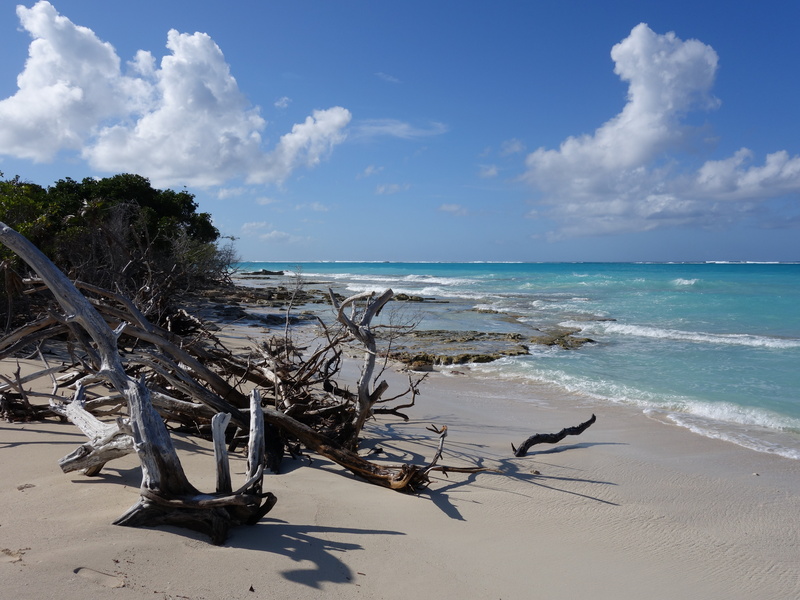 Although we only got to spend one hour on Little Water Cay, we were very grateful to be able to experience one of the last remaining unspoiled, natural areas in the Caribbean.